To install laminate flooring you don`t need any special knowledge or special tools. Click laminate flooring doesn`t need any glue for installation which makes the installation clean and environment friendly. When installation of click laminate flooring is done there is almost no mess left behind. Click laminate flooring installation is very easy method which can be done in very short time. After the installation, you can immediately place furniture in room. There are two click method installation options. First installation method is click in method where laminate planks have tongue and groove which fit together perfectly. If installation of click laminate flooring is done correctly there are no gaps between click laminate planks and the end result is uniformed. Second installation method is click lock which is newer method and is more solid and effective. It is simple to install click lock laminate flooring as long as you follow some basic rules. The room in which click laminate flooring will be installed has to be dry and room temperature between 15-18⁰C. The planks are best installed parallel to walls in direction of sunlight. You always start placing the planks few centimetres from wall and continue with click flooring installation in a pattern across the room. Installing laminate flooring over concrete basement requires use of underlayment. Choosing the right underlayment is just as important as choosing your new click laminate flooring. Installing underlayment for laminate flooring has to be done precisely to prevent any tears. Click laminate flooring needs underlayment for protection against floor moisture and it also works well as sound barrier. 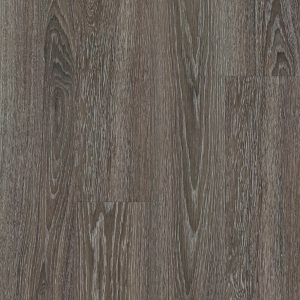 Walking on click laminate flooring is much quieter if underlayment is installed between concrete and laminate flooring. When installing click laminate flooring you have to leave a gap between wall and first laminate plank to allow expansion of material. The gap also allows to see if underlayment has been placed correctly. You can install click laminate flooring in a bathroom as long as you use click laminate that is suitable for humid environment. Our walnut wood laminate is moisture, heat and impact resistant so it is suitable for bathrooms and kitchens. Laminate flooring for bathrooms has special coating which is water resistant. 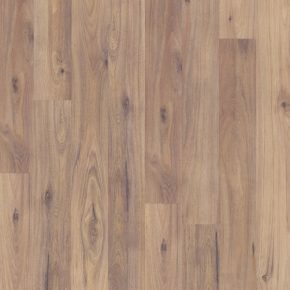 Our walnut laminate flooring is available in many colours and textures. Usually our clients install light colours walnut laminate flooring in their bathrooms. Reason for that is light colours of floors expand and lighten the room.